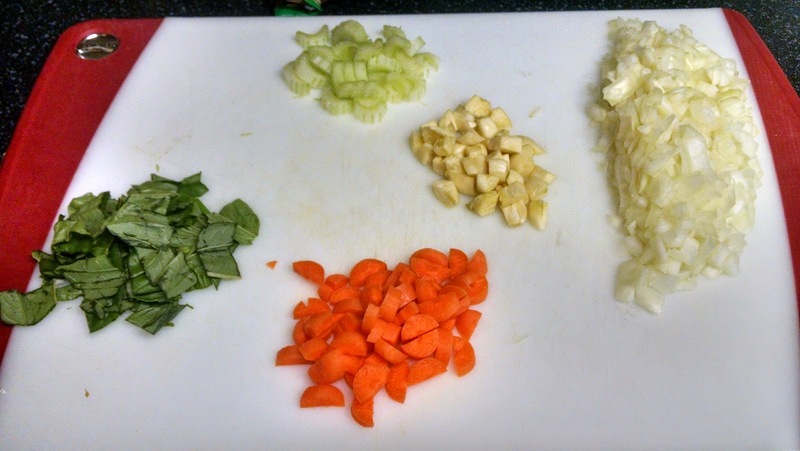 OK, tonight we are talking about a classic Italian pasta dish — Bolognese. It is simply a rich flavored, tomato based sauce. Sounds good right? There is only one problem with this amazing sauce, it is not known to be a quick cooking dish. You can find a million recipes that list the cook time between 3-12 hours to get this right. Who can spare that time? Even on weekends that can be hard unless you use a crock-pot. By the way, you can make the sauce that way if you prefer. However, I have a recipe that you can have up on the table in 45-60 minutes instead of 12 hours. That sounds even better, doesn’t it? Here is what’s behind door number one! We love garlic. So, instead of 2 cloves we use about 6-7 cloves, adjust accordingly. Meat mash-up. 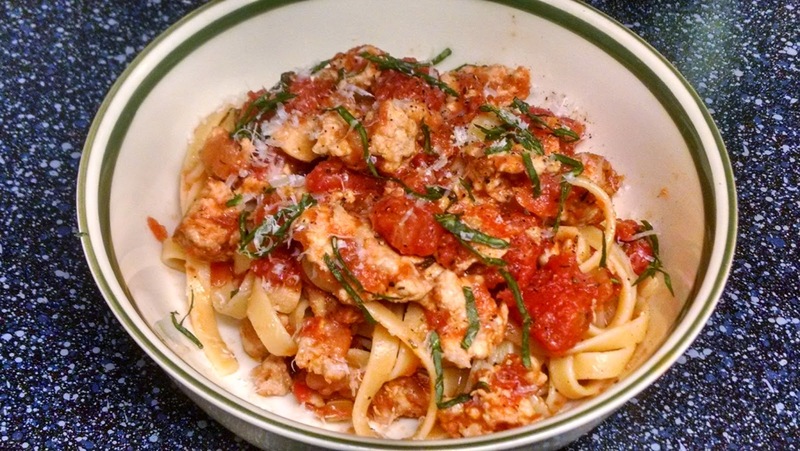 The first time we made this we did try the ground beef but found the pasta to be overly heavy and it left a unpleasant coating in the mouth with each bite. 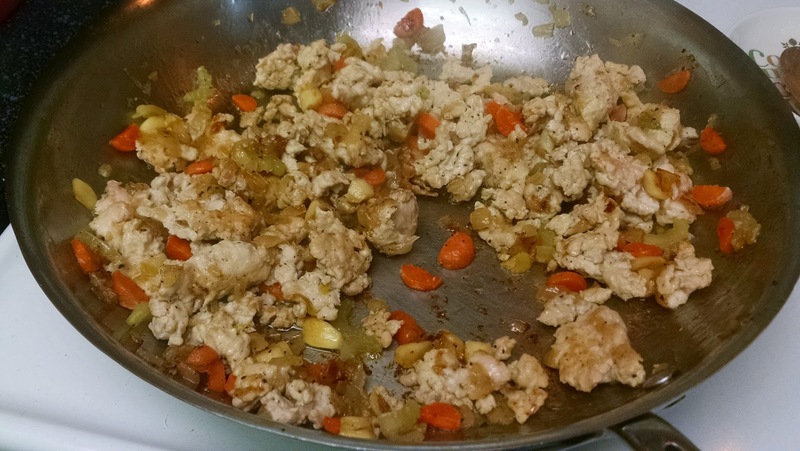 We loved the recipe and wanted to find another option so we turned to ground turkey. Ground dark turkey meat will give you the richness and flavor, and in my opinion, you won’t miss the ground beef at all. Since it is just the two of us we do three quarters of a pound and do just fine. Basil makes everything better. 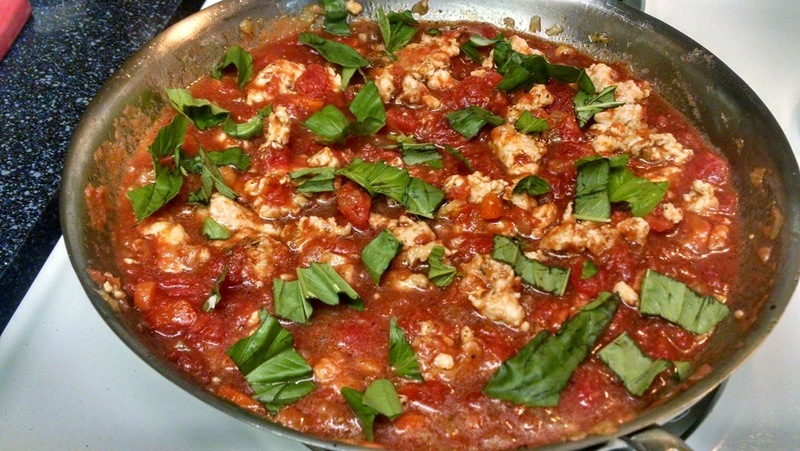 We prefer basil to parsley, so that is what we use when we make this sauce. Finally, we love Parmesan cheese to finish this pasta. The cheese is rich, creamy, and brings a pleasant finish of salt with each bite. We prefer fresh shaved Parmesan, which requires a small piece of Parmesan cheese to use as needed, but if you don’t have the access to a whole piece of Parmesan then the pre-shaved stuff works just as well. Speaking of salt, seasoning is really important here. 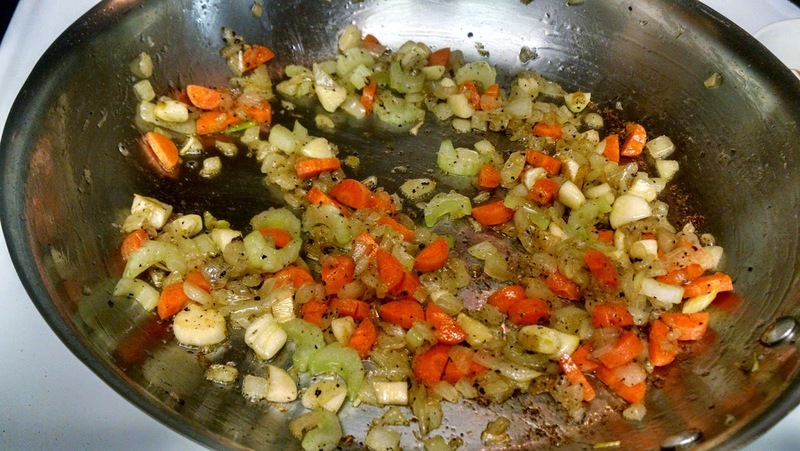 Remember to season often with this dish to build the layers of flavor. Also, taste, taste, and taste. Taste is the key that unlocks the door to great fare. Just so you can get an idea of what you will need I have included this photo for you. 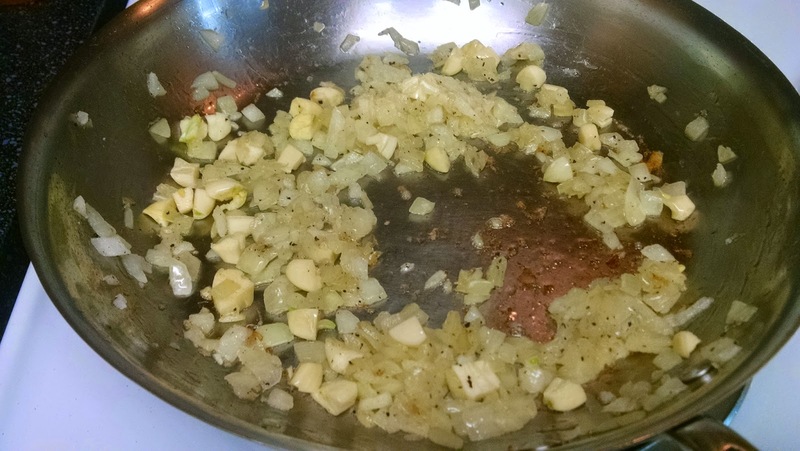 Level one, onions and garlic. Keep an eye on the heat level as each stove cooks a little differently. Don’t rush, you will have time to make sure everything is cooked through. All veggies report to the pan. Repeat, all veggies report to the pan. This is not a drill. The ground turkey has been working with all the vegetables for a few minutes here. Right before you let this simmer add a dash of dried oregano, dried basil, between 1/8-1/4 cup of wine (something you would be happy to drink). Once this starts to simmer stir everything together and continue to stir every few minutes until the sauce has reduced enough. Feel like the sauce is lacking the special something? With a couple minutes left before you are ready to serve add 4-8 tablespoons worth of left over pasta water to the saucepan.. Why? The pasta water will have salt in it, which will help you give the sauce additional flavor and you might be able to add less salt as a result. Also, the starch in the pasta water will help give the sauce more body and richness, and will help the sauce adhere to the noodles better.